I don’t think the majority of young folks have seen the 1955 version of the film (which personally I haven’t either sadly), so the Tom Cruise and Dakota Fanning movie should suffice, directed by of course no other than Steven Spielberg. 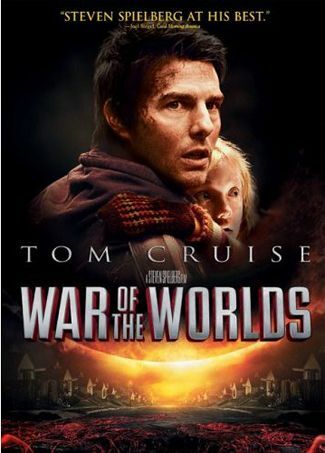 The premise of the story was simple: Ray Ferrier (Tom Cruise) a estranged father from his children Rachel (Dakota Fanning) and Robbie (Justin Chatwin) ends up with them after his ex-wife drops them off for a few days. Boom! The Earth is being invaded by aliens, mayhem and chaos all over, and Ray’s main concern now is to reunite his family. The movie, based off the novel by H.G. Wells depicted an alien invasion in our present time, and well you know, aliens are already scary, even more so when they’re Tripods. 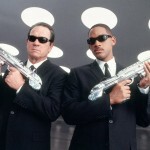 Now with the release of the third installment, I have to admit that as a kid I loved the first Men In Black so much, to the point that after seeing Men In Black III, I really want to see the first one again. 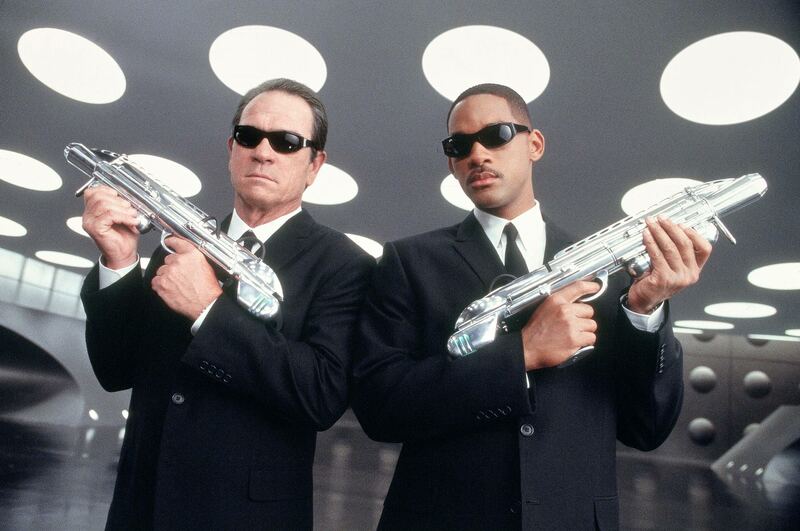 A secret government agency that protects humans from aliens, with the always funny Will Smith and Tommy Lee Jones, this movie had aliens of all shapes and sizes, and once again our world was at stake, and it was up to agent J and K to save it. Now this movie, is a gem in both comedy and sci-fi. 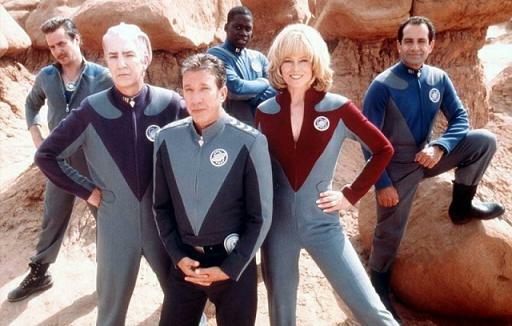 Galaxy Quest is about a once popular TV show of the same name, in which a group of actors played roles of members of a space ship, much like what we know today as Star Trek. After 18 years, an alien race approaches the cast and apparently mistaken their TV show for actual documentary footage of battles, and proceeds to recruit them to save their race. Even though it under-performed at the box office, I loved the film because it pointed out those things in sci-fi pop culture that are so easy to spot in the movies, and with a cast consisting of Sigourney Weaver, Tim Allen and Alan Rickman, you know it’s great. 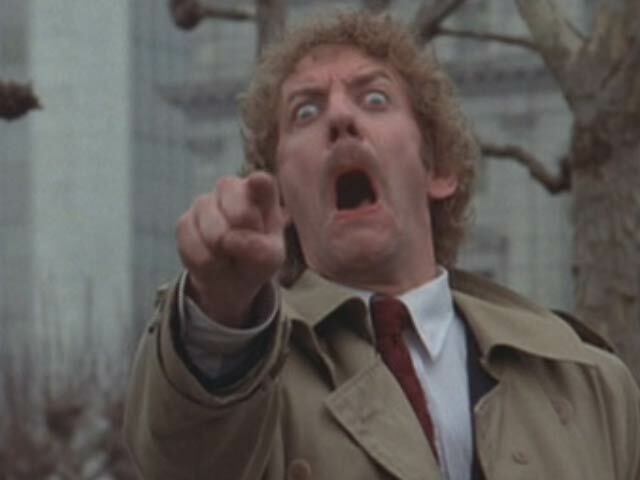 Way before Donald Sutherland was President Snow in The Hunger Games, he portrayed the character of Matthew Bennell, a health inspector in San Francisco that along with his girlfriend discover that aliens are replacing human beings. This is where the word snatchers comes to play: these aliens are becoming perfect copies of the bodies they replace, with a plan to convert all of the human race into a conformist society that is unable to feel any emotions. 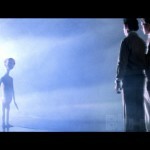 These weren’t just aliens living among us, they were ultimately US! SCARY! Apparently there is four of them, I’m looking right at you The Fourth Kind, but let’s stick to Spielberg’s Third Kind film because this one was truly great. Afterall, it was nominated for many awards at the Oscars, Golden Globes, BAFTAs, etc. The story is about Roy Neary (Richard Dreyfuss), a line man, who sets out to find out about a power outage in his town of Indiana, when suddenly his truck stops and has an encounter with an UFO. After this event, he has weird visions and a set of five musical notes that are stuck in his head, little does he know that he isn’t the only one aware about UFO’s, the US government knows about them too. Without a doubt, when I watched this movie I was like Roy, those five musical notes got stuck with me forever, and to this day that last scene of the film with the mothership remains intriguing and beautiful. This movie had me scared of ever going to a farm for months, to the point that I considered using the aluminium foil over my head, just kidding. 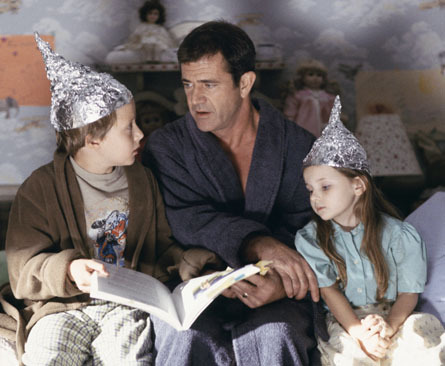 Signs starring Mel Gibson as Graham Hess, is about a family that lives on a farm that finds mysterious crop figures in their fields, and you guessed it, they are not man-made, but alien-made. Unlike many other alien films that focus on the end of humanity and the world, this one focuses on the sudden apocalypse of a small town family. Joaquin Phoenix and Abigail Breslin star in it too! 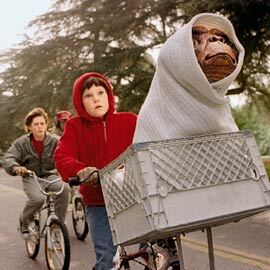 This movie had me scared every time the sky was cloudy, I would be like “This is it, aliens are coming to get us. 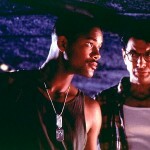 Where is Will Smith!?“. 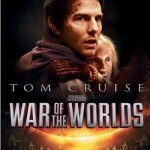 The movie begins on July 2nd, when communications systems all over the world are sent into chaos due to an interference. The military then finds out that objects from outer space are approaching Earth, and these aren’t meteors, these are space ships. David Levinson (Jeff Goldblum) discovers that the aliens piloting these ships are going to attack major cities around Earth in less than a day. 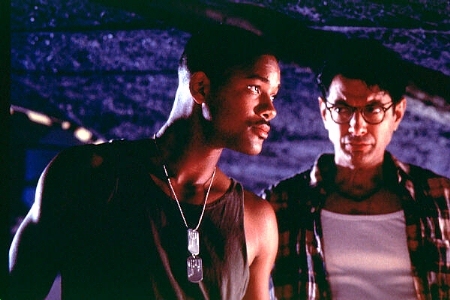 On the other hand, Captain Steve Hiller (Will Smith) is a USMC involved in the counter-attack against the ships, and soon he is working with Levinson on a way to fight for humanity, during the day of July 4th. 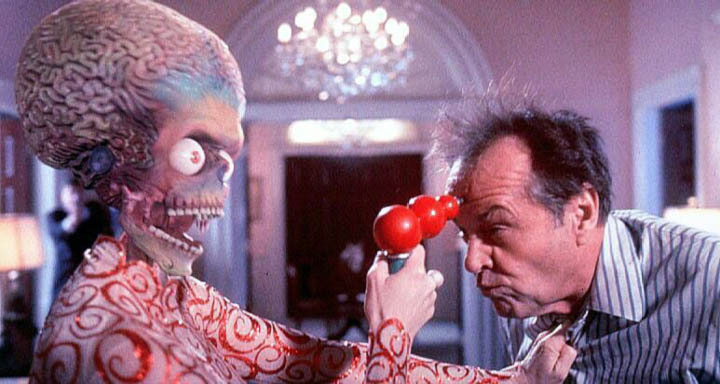 In a world where Jack Nicholson is president, I would understand why aliens would like to come to Earth, wouldn’t he be the coolest President ever?. 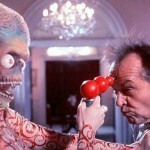 President James Dale (Jack Nicholson) addresses America that there have been martians around the planet, and this leads to a first contact with them. The martians apparently come in peace, but during their meeting things go wrong and it’s a full blown killing of the human race. But who knew that Slim Whitman’s “Indian Love Call” would be humanity’s greatest weapon? 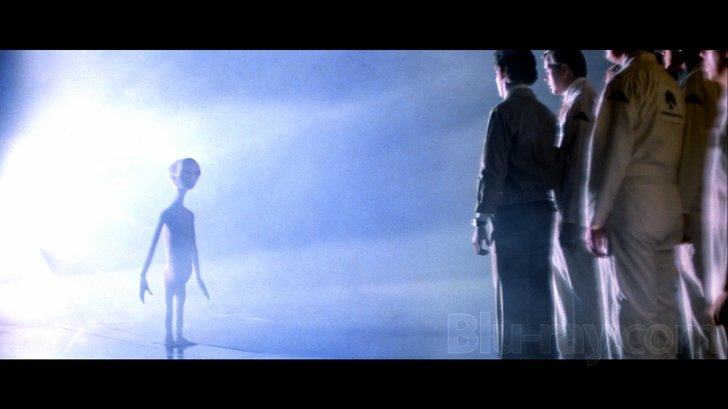 Spielberg already familiar to the sci-fi genre with Close Encounters Of The Third Kind, this time around with E.T he made a heartwarming story about the relationship between a boy and an extra-terrestrial being. Spielberg created one of the most memorable (and actually good) aliens in film history. 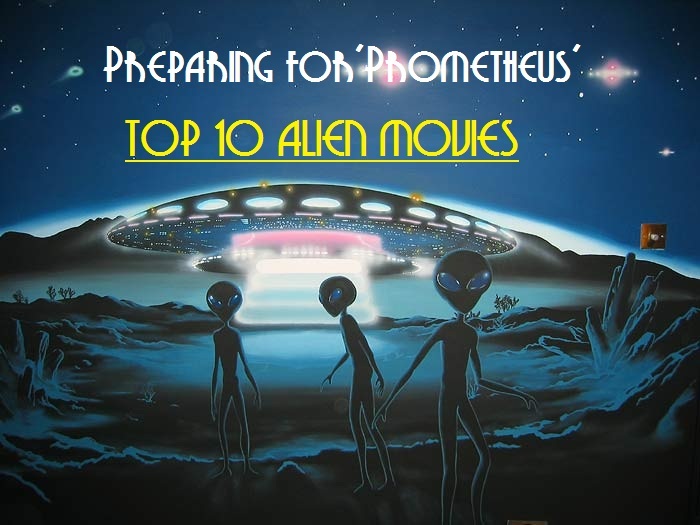 Since we are waiting for Prometheus, it would only be reasonable to make Ridley Scott’s Alien #1 on this list, not only because it is one of my favorites, but because it was the first film that involved aliens that had me truly, truly scared. 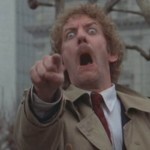 If there’s facehuggers in Prometheus I’m screaming to the top of my lungs, this is my fair warning. 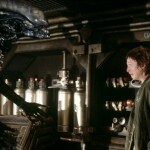 As some attribute the release of Alien as the beginning of the genre of science-fiction, this movie is set in the future when mining space ship Nostromo arrives on Earth to investigate a signal, this however wasn’t an SOS, it was a warning, and what awaits for them could be their death. 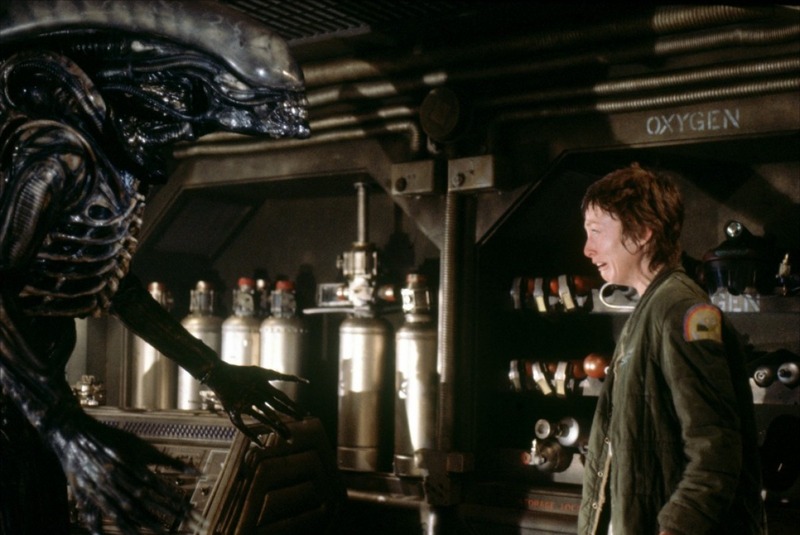 The performances, the special effects and the screenplay, make this a believable alien story for it’s time and that is still relevant to this day. 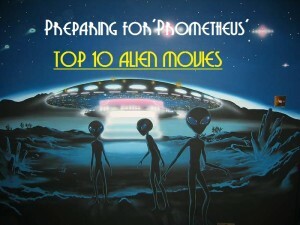 What are your Top 10 Alien movies? Did yours make the cut!? Previous ArticleE3 2012 Is Almost Here!